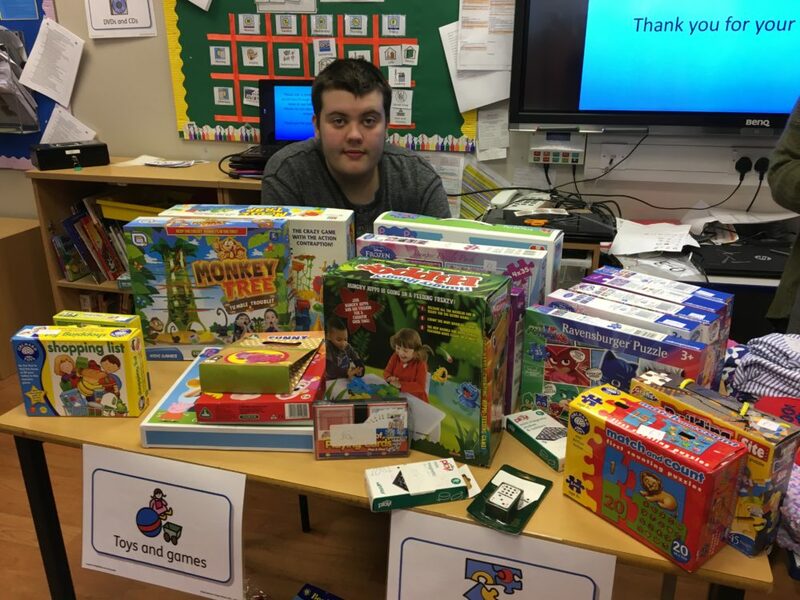 Pupils from Dolphins class at John Fielding School put their work skills to the test as they invited people from the local community to their second-hand shop during the last week of term. There were a variety of items available to buy, from clothes to games and books to jewellery. All of the pupils experienced the life skills of selling products and working with money as they built further links with the community. John Fielding School already work with local organisations such as Boston Tennis Club and Boston College, whilst providing regular trips in and around the community to help develop communication skills, as is the emphasis of the learning outcomes within school. Pupils, parents, carers, staff and members of the public all helped to provide the large quantity of items for sale, helping to bring the pupils’ recycling topic to life. The money raised will go towards a residential trip and resources for the Sea Life centre in Hunstanton. The shop is just one of many projects at John Fielding where they are aiming to become an eco-friendly school. This particular project acts as their re-using initiative to reduce landfill waste and will be presented at the Lincolnshire Show in June.